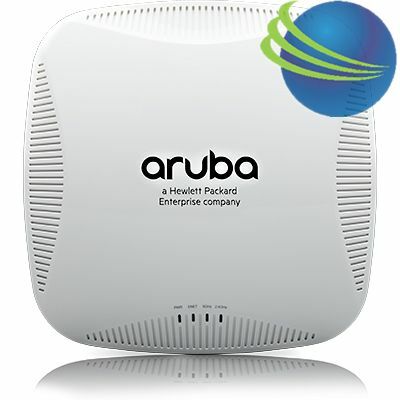 • Features : Multifunctional and affordable Aruba 210 series wireless access points (APs) maximize mobile device performance in medium-density, highperformance Wi-Fi environments. - Four RP-SMA connectors for external dual band antennas (A0 through A3, corresponding with radio chains 0 through 3). Worst-case internal loss between radio interface and external antenna connectors (due to diplexing circuitry): 1.3dB in 2.4GHz and 1.7dB in 5GHz. - Four integrated dual-band downtilt omni-directional antennas for 4x4 MIMO with peak antenna gain of 4.2dBi in 2.4GHz and 7.5dBi in 5GHz. 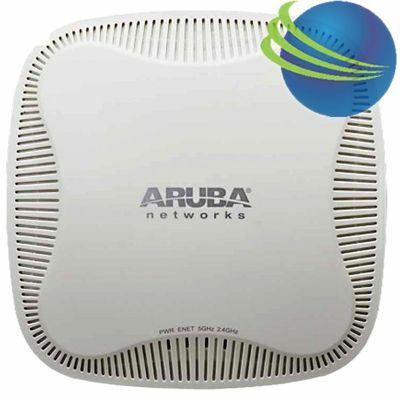 Built-in antennas are optimized for horizontal ceiling mounted orientation of the AP. The downtilt angle for maximum gain is roughly 30 degrees. - Combining the patterns of each of the antennas of the MIMO radios, the peak gain of the effective per-antenna pattern is 3.8dBi in 2.4GHz and 4.6dBi in 5GHz.